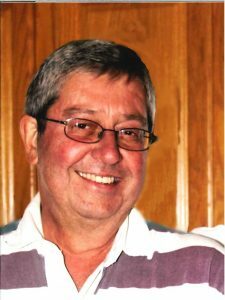 Blain Larson, 64, of Schuyler, died Sunday, February 19, 2017, at the Nebraska Medical Center in Omaha, surrounded by loved ones. Mass of Christian Burial Thursday, February 23, 2017 10:00 A.M.
Blain Leon Larson was born September 20th 1953 in Yankton South Dakota to Virgil and Denelda Bruns Larson. He enjoyed life on the farm at Verdigre, belonging to 4-H, enjoying his animal projects and attending Sparta Country school.The family moved to Plattsmouth when Blain entered 9th grade and he enjoyed his high school years there forming new friendships, several which lasted the rest of his life, graduating in 1971.Blain entered UNL in fall 1971 and then graduating from UNMC in 1977 with his Bachelor’s Degree in Pharmacy. Blain was united in marriage to Patricia Nolles in 1976 at Holy Cross Catholic Church, Bassett. They were proud parents of Amber Leigh in 1978, Trent Michael 1980 (Dec. 1980) Matthew Blain in 1982. Blain and Pat purchased Christensen Drug – later Larson Pharmacy, in 1986 and the family lived in Hebron for many years. They divorced in 2001 and in 2004 Blain moved to Schuyler, NE and later purchased Schuyler Pharmacy. He continued to love the outdoors enjoying gardening and spending time at Lake Socorro. He was preceded in death by his son Trent Michael, his father Virgil Larson and grandparents Conrad & Anna Larson, and Anton & Marie Bruns. He is survived by daughter Amber (Jason) Fixemer, son Matthew (Brandi) Larson, all of Kearney, mother Denelda Larson, Norfolk, sisters Dixie (Gene) Debolt, Newport, Dawn (Warren) Dorsey, Ainsworth and brother Brian (Lucia) Larson Rose Valley, PA, four grandchildren Beckett, Sloane Fixemer, Keller and Ellie Larson, special friend Cindy Svoboda of Schuyler, uncle and aunt Keith and Denise Wortman, Creighton, nieces and nephews.